Shooting events, both non-registered and registered targets, raffles, prizes, shotguns, dinner, refreshments – what’s not to like? Would you really rather be at the mall? 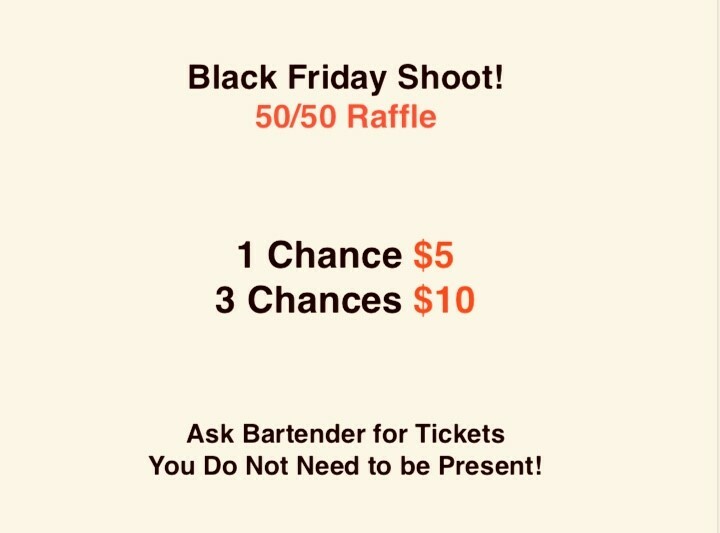 Don’t miss this year’s fabulous Black Friday event. 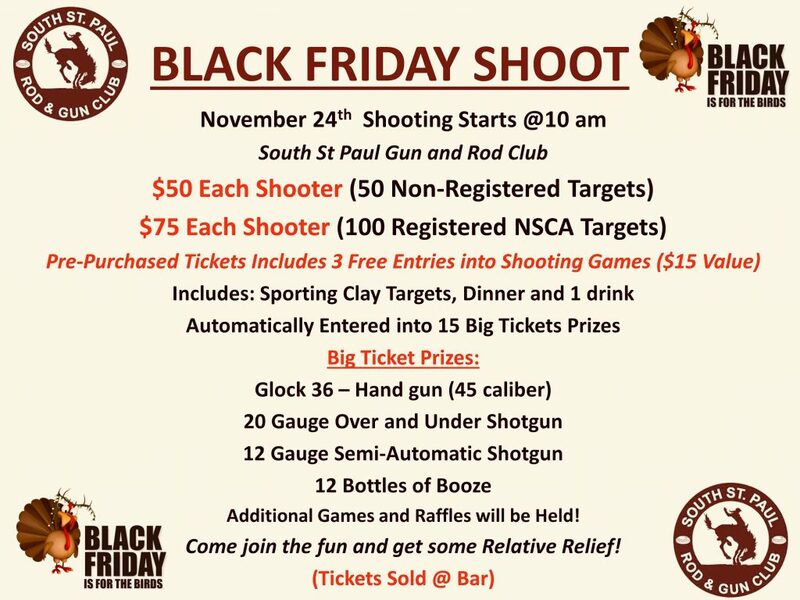 Shooting, games, raffles, and a great meal await you.